Dr David P. Scaer has an interesting piece in Lutheran Quarterly (Volume XXII/Number 3, Autumn 2008) on the life and work of Francis Pieper (“Francis Pieper (1852-1931)”, pgs 299-323). Scaer makes explicit a point that many LC-MS pastors and theologians have come to realize over the last century: the preeminent and lasting influence and position that Pieper holds in their Synod. Scaer points out that with the publication and authorization (by seperate LC-MS conventions) of the German and English editions of Pieper’s Dogmatics they have “a near canonical status” in the Missouri Synod (299). They can be found on most LC-MS pastors’ shelves and are consulted as an authoritative source not only for doctrine but also in exegetical matters. The death of Pieper, according to Scaer, left a gaping hole in LC-MS theology which no one saw themselves filling and, can be argued, hasn’t been filled yet (300, 301). While Scaer argues that it was not biblical authority and inerrancy that fueled Pieper’s theological engine, but Christology and grace, what I found most interesting in his assesment of Pieper’s work was the doctrine of ecclesiology. Scaer writes, on the basis of Pieper’s ecclesiology, “The doctrine of Christ surpasses all doctrines and provides them with their content, but for external church unity a specific agreement had to be spelled out. Without this there was no church unity. …Those who did not accept the Lutheran doctrines were conscious of their errors and that they had rejected clear biblical statements” (305-06). To me this sounds exactly like what Richard Koenig concludes, as quoted in Scaer’s endnotes: “From Pieper’s writings it is obvious that he assumed the Missouri Synod was in possession of the truth in all its purity and were passing it on for the benefit of future generations” (320). There can be no doubt that this belief is still alive and well in the LC-MS today. Scaer proceeds to highlight Pieper’s belief that individual “Lutheran” Christians must avoid churches that do not teach the truth and join those that do. Also not permitted is the receiving of communion or serving as baptismal sponsors in “false churches” (306). According to Scaer, Pieper proceeds to claim, in what appears to be an already narrow ecclesiology, that in spite of the doctrinal errors of “non-Lutheran churches, those in them who hold to correct biblical interpretations are really Lutherans” (306). Scaer concludes that for Pieper these Christians are in all intents and purposes “anonymous Lutherans”. “Its doctrine of grace makes the Lutheran church the true visible church; however, there may be some members of other churches who in spite of official church doctrine are individually Lutheran” (306). Is this a broadening of Pieper’s ecclesiology or an “ill-bred” bone thrown to other Christians? One wonders, if Pope Benedict XVI can question the Rahnerian idea of “anonymous Christians” (which I understand is more complex than the glib quotation of a catch phrase), which I believe he does in his book Truth and Tolerance, then what should we make of Pieper’s apparent ecclesiology of the “anonymous Lutheran”? 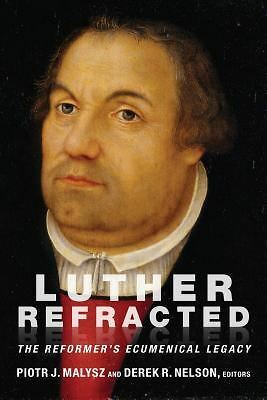 I don’t think it is helped by the sentiment (summarized by Scaer): “Exclusion of other Christians from Lutheran fellowship, which might appear to be harsh, is mitigated by his considering them as Lutherans without their knowing it” (307). Finally, Scaer highlights Pieper’s distinction between the “true visible church” and the una sancta, which is a formal (slightly nuanced) way of speaking about the Lutheran and “anonymous Lutheran” distinction. “Members of the true visible church agree to all clearly revealed biblical doctrines” while “Inclusion in the una sancta requires only faith…” (307). This facet of Pieper’s theology is further qualified and fleshed out by Scaer: “While belief in all doctrines is necessary for outward church unity, only belief in the gospel is required for inclusion in the una sancta.” But according to Scaer this becomes a slippery slope for Pieper. Tied into gospel proclamation for Pieper is a correct understanding of law. Correct belief in Christ includes a correct understanding of the Trinity. Denying the resurrection and eternal life is an offense against the doctrine of justification and hence, they are all included as fundamental doctrines as well (311). And so Scaer can conclude, “…it seems that for Pieper fides qua, the faith which trusts in Christ, has evolved into the fides quae, the acceptance of certain doctrines. So one has to ask whether this is a distinction in theory rather than in fact. Having designated the Lutheran church as God’s true church on earth, Pieper asks about the fate of Christians in other churches. They can be saved by faith in Christ fides qua, but now fides qua includes Christ’s two natures and the Trinity, and becomes less distinguishable from fides quae” (314). One wonders if Pieper’s ecclesiology has had more of a lasting influence upon Missouri than anything else (more influential than his treatment of Christology and grace). And if it is part of his legacy, if not the meat of his legacy, what does the future hold ecumenically for those who hold to such an ecclesiology? Philip, My first response is simply to wonder if you meant this reply under “A Lutheran Influence” instead of this post. After that, I think what you have to say is very interesting. I am nowhere near as informed enough on some of these documents to make substantial replies though. Yes, I meant for this reply to go under “A Lutheran Influence”! Can you possibly put it under that title? (as Dr. Oswald Hoffmann once told me). Obviously, the Truly Orthodox Visible Church is comprised of ALL of Those FAITHFUL LUTHERAN CHRISTIANS who believe (fides qua) all the doctrines (fides quae) of God’s Word as taught by the SAME — while Christ’s One, Holy Catholic, and Apostolic Church is comprised of ALL FAITHFUL CHRISTIANS who believe at least in such doctrines of God’s Word of Law & Gospel as Convert & Save them in Justifying/Saving Faith (the Primary Fundamental Doctrines of the Christian Faith). Thus, “fides qua” and “fides quae” are necessary corollaries to the extent aforementioned. But, as usual, the “slippery slope” belongs to any who would forget what Dr. Pieper did not forget in relation to God’s Word.